Winemaker Ryan Harms and vineyardist George Hillberry opened Union Wine Company in 2010 in a 10,000 square foot warehouse in Tualatin, Oregon. Previously they had acquired the Kings Ridge brand from Rex Hill Vineyards and had produced wines under the Underwood Cellars and Alchemist Cellars labels in rented facilities. They hired winemaker Greg Bauer with the goal of producing nearly 40,000 cases annually of Underwood Cellars wines, retailing primarily from $10 to $18 a bottle. 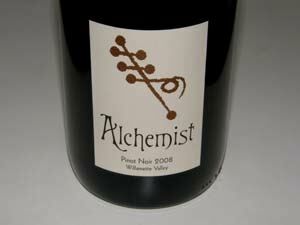 The Alchemist Cellars represents a higher tier and includes a Willamette Valley Pinot Noir and Chardonnay. Union Wine facilities also serve other brands as a custom crush.